When one of your brides messages you about an idea and you hear it and you can't wait to photograph it, you know it has to be a fun idea. Alexia will be getting married in May of this year and had this amazing idea of something fun to photograph in her moms wedding dress from 1985. 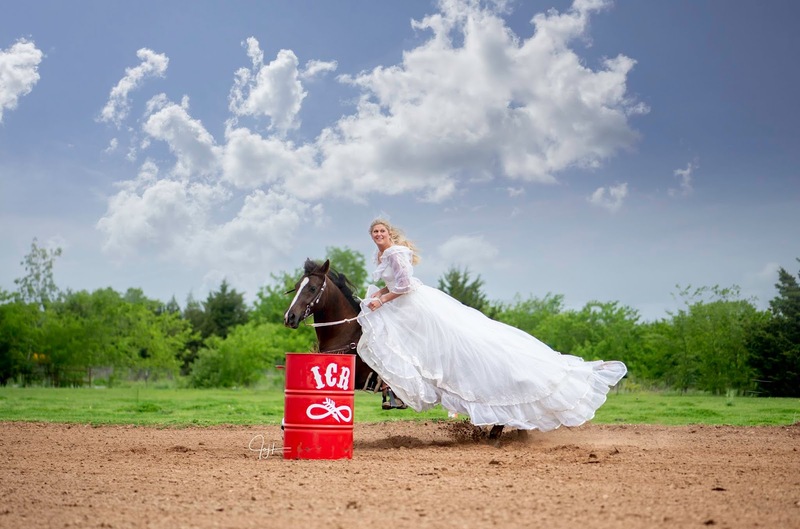 When she became engaged her and her mom (Charlena Cutaia) thought it would be fun to pull out this wedding dress and do something fun, of course it had to do something with barrel racing. It's funny this session even happened because Charlena is not one to save things, if she has no use for something it gets recycled, trashed or given away. This dress was stored and wrapped up for years and made it's way from Arizona to Texas. One of the most memorable things from this session was that Alexia is wearing her moms wedding dress from 1985 and performing the barrel pattern on her moms horse. 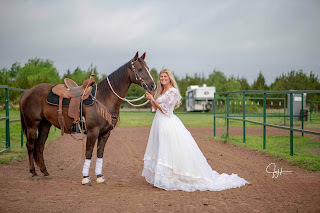 She said that it was such a huge honor for her to wear her moms dress and run her moms horse in this special photo session at Infinity C Ranch, her parents have been married 34 years this September and if she has half the marriage her parents do then she will have a pretty amazing life. 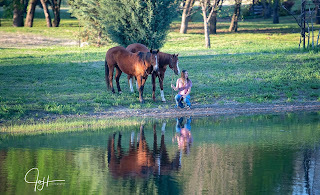 Make sure to check out this amazing mom daughter duo at Infinity C Ranch on facebook, they offer lessons, boarding and even hold barrel races at the ranch when weather permits. 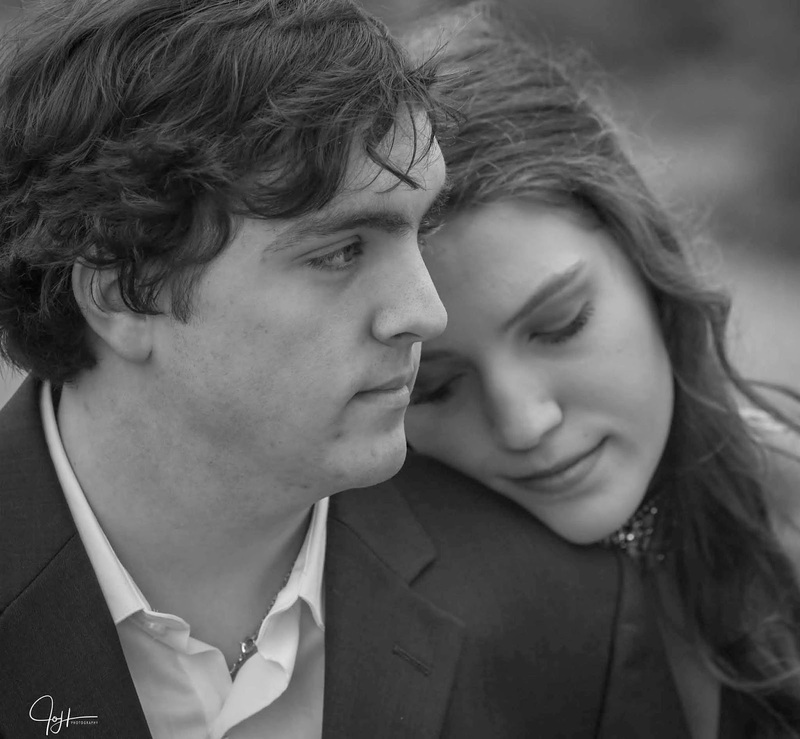 I've known them both for quite a few years and consider them friends of mine and I'm so happy and honored to be asked to photograph Alexia wedding soon. Being a photographer you meet some pretty amazing, driven, hard working people in this line of work. It's busy season so this time of year I am photographing a lot of high school juniors and seniors I had the pleasure of capturing a couple session with Annika Barry and Colten Cunningham. I met Annika about 4 years ago thru my event photography and I am thrilled she has applied for my senior rep program for 2020 (winners announced soon). She is a very active member of FFA for the past 3 years and competes in the quiz team, horse judging and is an Ag Advocacy. 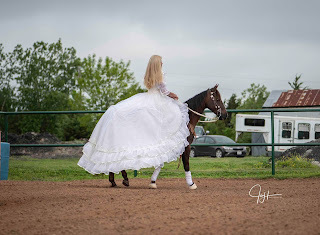 She has been riding horses since she was 5 years old and competing at the ripe ole age of 7 years old. 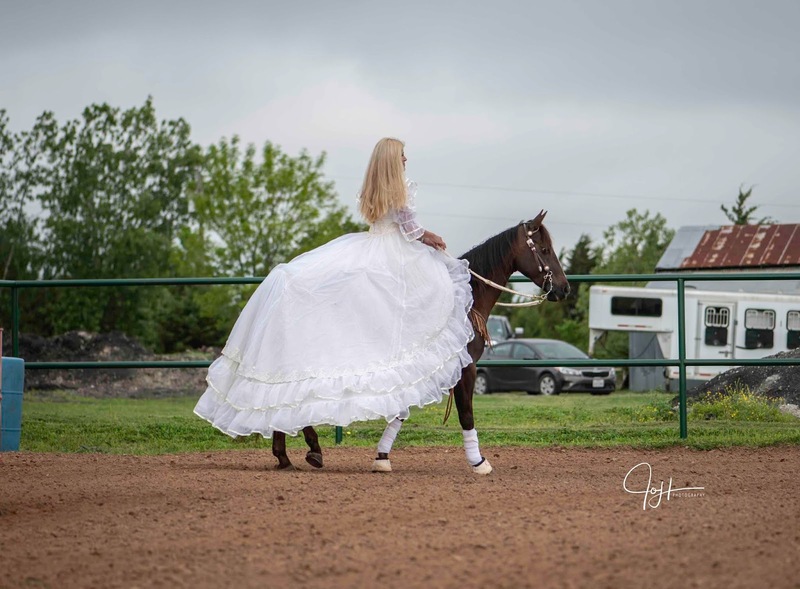 She competes in Barrel Racing, Pole Bending, Goat typing, Playdays, Racking Horse Shows, Western Pleasure, Hunter under saddle, trail and many more classes. She has been blessed to make it to the finals all 3 of her high school rodeo career years. 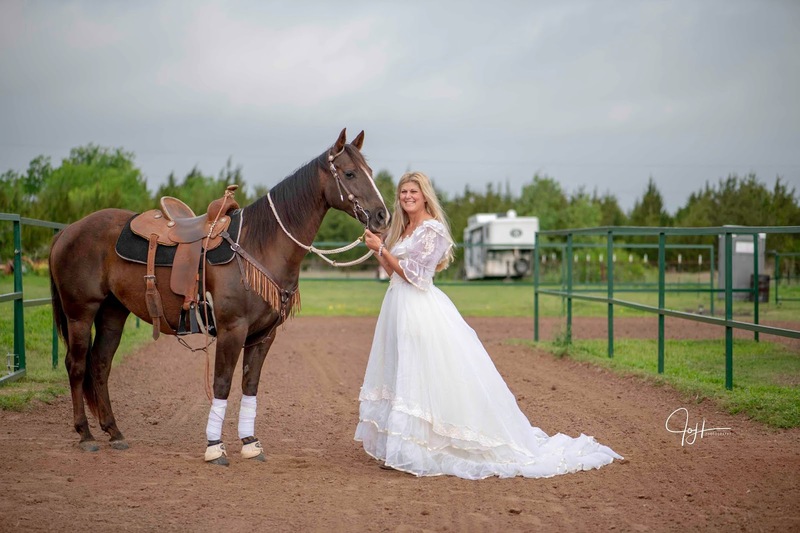 In 2015 she placed 5th at the World Paint Horse show against some fierce competition. 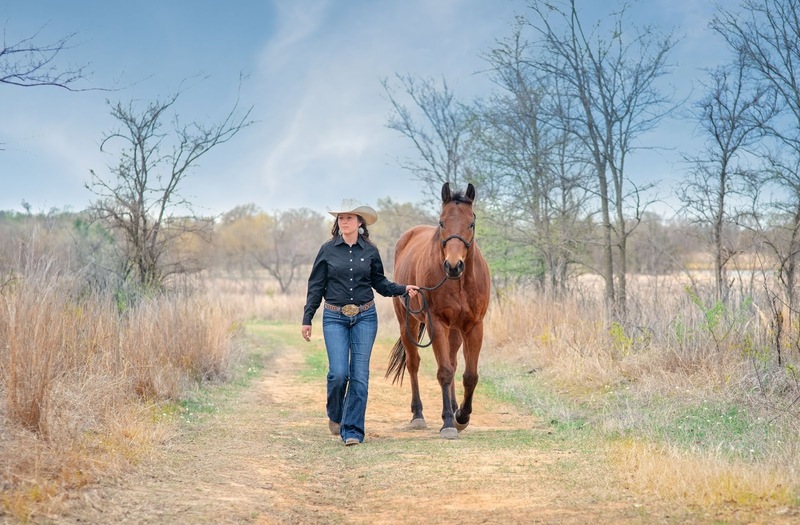 She is also an entrepreneur, working for herself giving riding lessons and taking on client horses for tuning and training. She was been nominated for the NTHSRA student board for the 2019-2020 school year which is an amazing honor. She also has been on the Marcus rodeo team for 3 years now, serving as secretary for 2017-2018 and Marcus Queen for 2018-2019. When she came to me about a photo session, she knew exactly what she wanted which makes things go so much faster and smoother, I photographed 95% of her session with Colten in natural light with poses that are appealing to her and him. 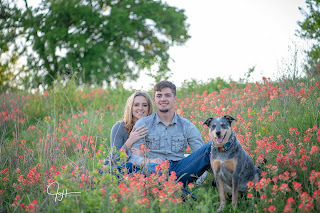 I thoroughly enjoyed how they incorporated their dog into almost all of their photos and such a pleasure to photograph them. We picked a great location at the local state park which provided the background we need to obtain the look they wanted for their final photos. Both of these young adults were so much fun to be around, great personalities, polite and respectful. I look forward to more sessions with her and watching as her future unfolds in front of her. Being a photographer your job is to capture memories for anyone that wants to pay you for your services, it's always a pleasure when you get to watch someone that grew up in front of your camera come to you for senior portraits. Lindsey has been buying event (barrel racing) photos from me since I started about 5 years ago. 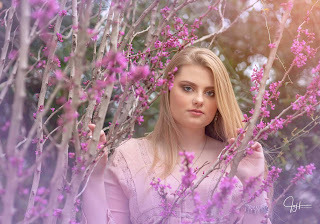 That means so much to me as a photographer to be able to capture a very special memory for her which is her High School Senior Photos. 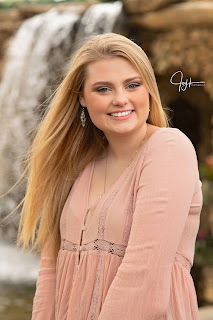 Lindsey is a senior at Marcus high School and will be graduating in about 6 weeks. 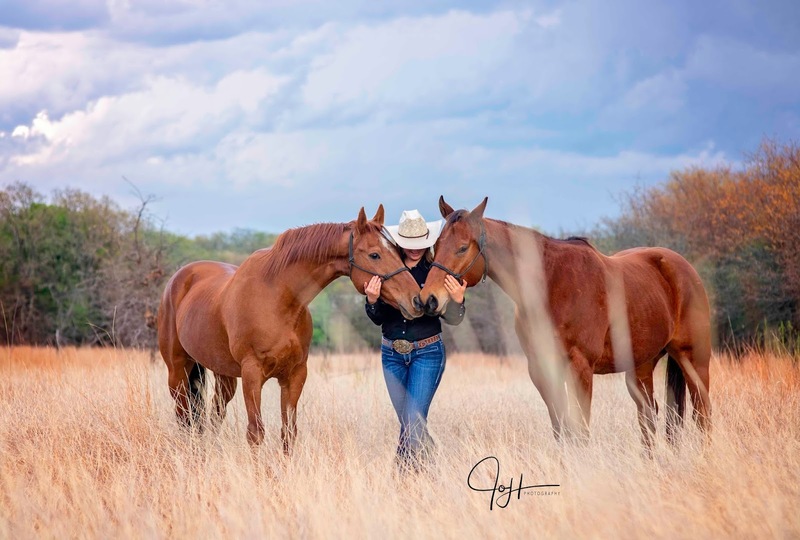 She has been riding since she was 12 years old and currently competes in NTHSRA (North Texas High School Rodeo Associate) in barrel racing and pole bending. All of those long days and nights of competing with this amazing organization will end soon, she's spend her 4 years of High School Competing with them. 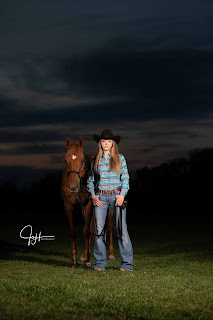 She is a very active teenager, also being a member of the FFA she has shown goats and been a part of the horse judging team every year she was in High School. They have placed 3rd in horse judging and made State her Sophomore year and she hopes to top her senior year off with another trip to state. Winning 7 buckles has been one of the highlights of her rodeo career. 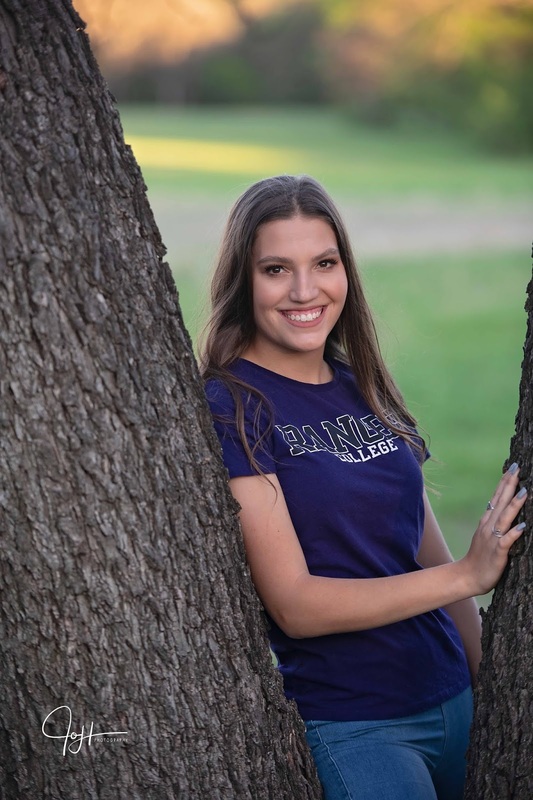 Lindsey will be attending Ranger Junior College in the fall, she plans to major in animal science to work in a field she enjoys so much, minoring in business management will help her with her future plans as a professional business woman. I'm so happy to have the opportunity to watch this young lady grow up in front of my camera and I'm anxious to see what her future holds. 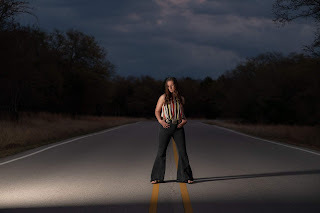 Thank you to Hollow Hill Event Center of Weatherford Texas for allowing us the pleasure of having this senior session at your location. Darcy and Conor Matson, Seniors 2019 were born exactly two minutes apart! Darcy tells you that growing up she always had him by her side, they did everything together. People would ask "What's it like being a twin?" and she would tell them: "I don't know anything different, but I can say that having a twin means always having your best friend by your side through thick and thin." Like all brothers and sisters, there are days when you get on each others nerves, fight a little here and there but at the end of the day, they are each others person. Both are very active in school activities but they always make time at the end of the night to spend important time talking about their day and what is going on in their lives. This fall will see a huge change in their lives, it will be the first time they are going in separate directions. 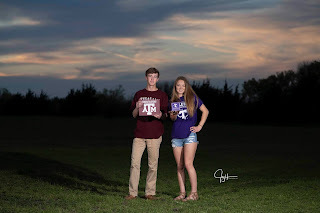 Conor will be attending A&M in College Station to study business, while Darcy is attending Tarleton University in Stephenville to major in animal science. "Not living with my best friend will be hard, but we are prepared to make time for each other even with starting a new life: Darcy says. Conor worked very hard all 4 years of HS to stay in the top 10% of his class and keep his GPA up. Conor has also been on the varsity Golf team all four years of High School, any free time he loves to spend in the gym and hanging out with his friends. Darcy excelled in track part of her high school years specializing in hurdles, during her junior year she decided to focus on rodeo and competing in region 4 High School Rodeo Association. This allowed her to compete against some of the toughest competitors in the state and up her rodeo game. 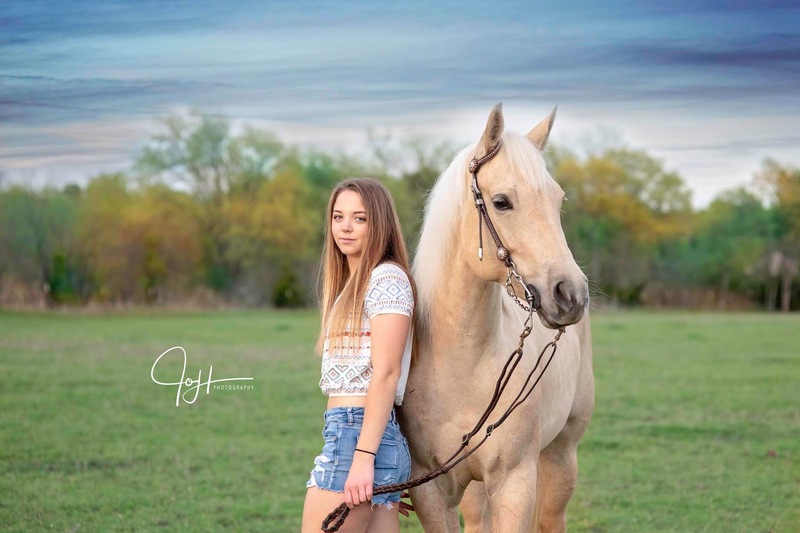 Her senior year she got a new horse, things didn't go as planned but with the help of friends she was able to place in rodeos, while waiting on her horse to recover. Next year she plans on majoring in animal science specifically production. Equine breeding is something she plans to pursue with this degree. Darcy plans to take her horse with her to college but while he is recovering he won't be competing until her second year of college. Both Conor and Darcy work full time jobs while maintaining high grades in school. Very responsible adults is something the Matson's were sure they instilled in their kids. I look forward to see what the future holds for these two. One of the pleasures of my job as a photographer is capturing memories for seniors. 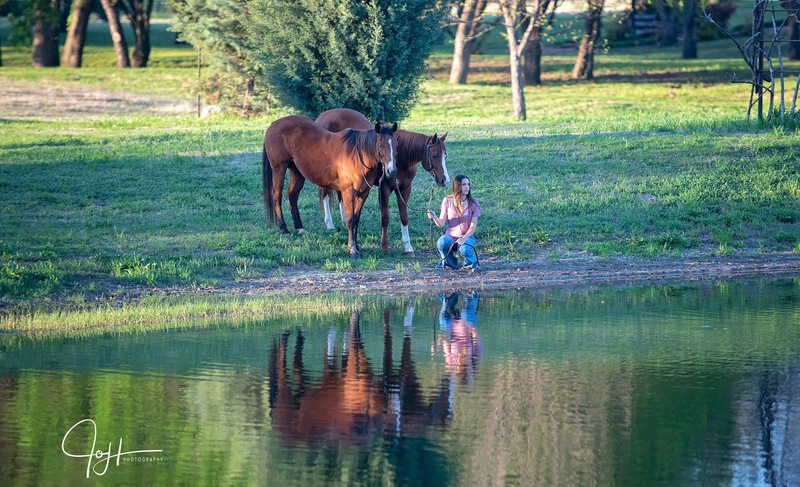 This past week I was able to photograph a senior session for Caitlin McCreary and incorporating her horses is always one of the best parts. These young rodeo athletes have so much respect, love and admiration for their 4 legged athletes I'm always happy to include them in a session. Caitlin a senior that will graduate May 2019 has been riding horses since she was 10 years old. Once she started barrel racing at the young age of 12 she hasn't been able to stop. She is an active member of her high school rodeo team and has been all 4 years of High School, her primary focus is on barrel racing. She did spend some time on breakaway roping and goat Tying but her main interest has and will always be Barrel Racing. 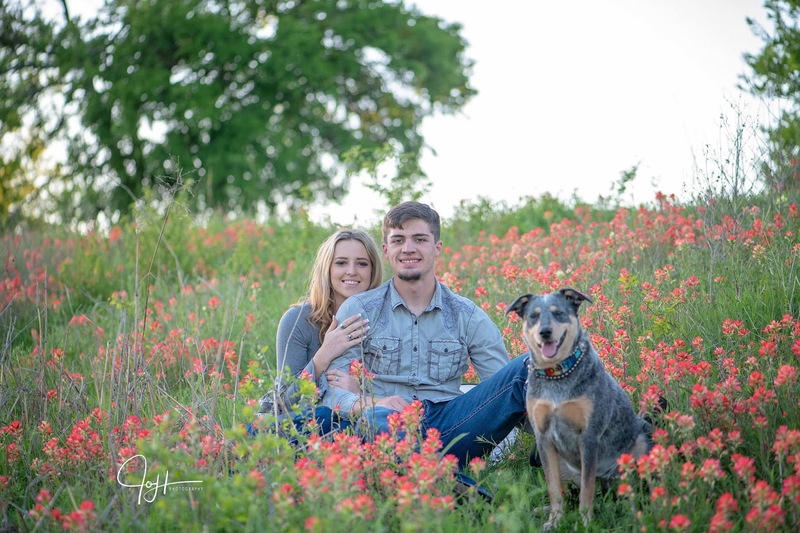 She plans to attend Blinn College in Bryan Texas in the fall of 2019 where she plans to study to become a Vet Tech. 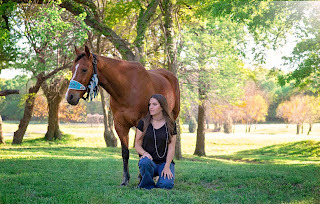 She is getting a head start in her training by interning as a vet clinic in Decatur, Texas. Learning and doing what she enjoys helps her stay motivated for her future as a Vet Tech. Her goals? Is to do the best she can to make her family proud of her and to inspire her younger brother and sister to do well as they always have looked up to her. I have no doubt this young lady will accomplish much in life and her family will have much to brag about. www.JoHPhotography.com to book your session, personal or commercial. "For all your photography needs"
The Dallas Arboretum never ceases to amaze me at the beauty, Located in the heart of Dallas photographers are welcome to photograph as long as your not a commercial photographer. One of the best things I did was buy the annual pass so I could go anytime I wanted for one fee. This outgoing senior doesn't have much down time between watching her boyfriend play high school baseball and is actively involved in Pals and Peers Helpers where she gets to interact with special needs students as well as younger kids. Ameri plans to attend a two year college in the fall such as TCC or Weatherford Junior College and plans to major in psychology. One of the benefits of being a photographer is working on Styled Shoots, Lindsey, a Senior this year and sponsored rider for #JoHPhotography was the perfect model along with her long time Boyfriend Luke. We planned off and on for a few weeks to work on a Styled Shoot that was with formal wear to work on posing. Lindsey is already an active person and I was so happy she made time to work with me. Barrel racing, FFA, and horse judging occupies much of her time. 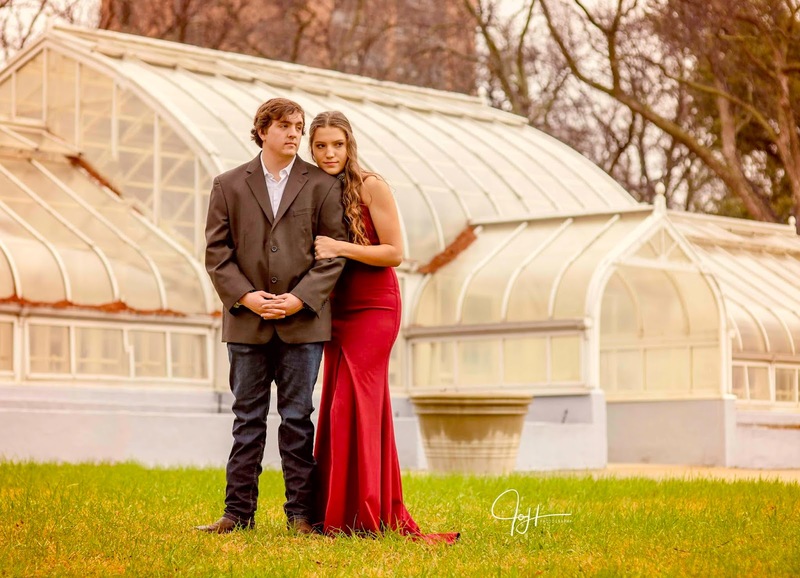 I was so happy she chose this beautiful dress from Gala Formal out of Grapevine Texas. You can check them out at www.galaformal.com or call at 972-539-0011. 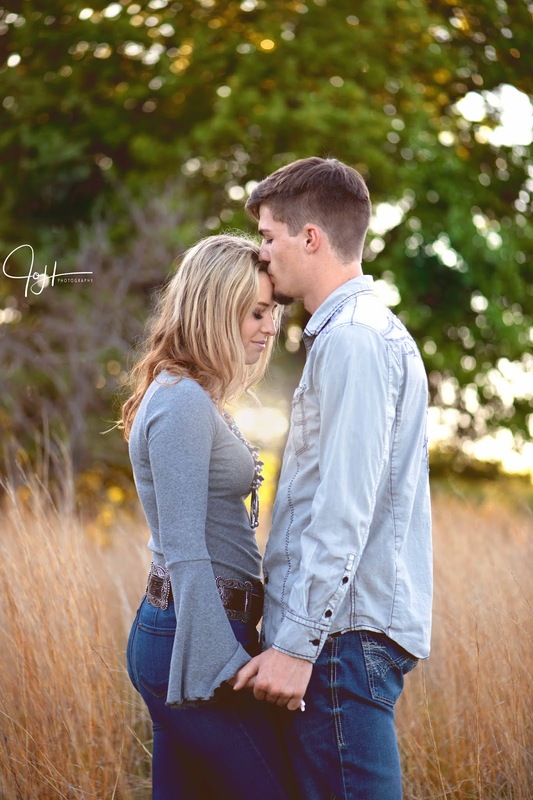 Luke is currently a freshman at Tarleton State University and is majoring in the demanding field of Nursing. He lists hunting and fishing as some of is favorite things to do. 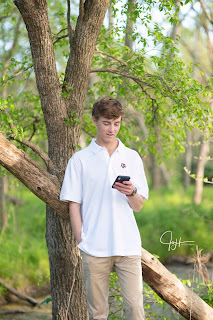 I had the pleasure of capturing his senior photos last year and look forward to capturing Lindseys session in April. 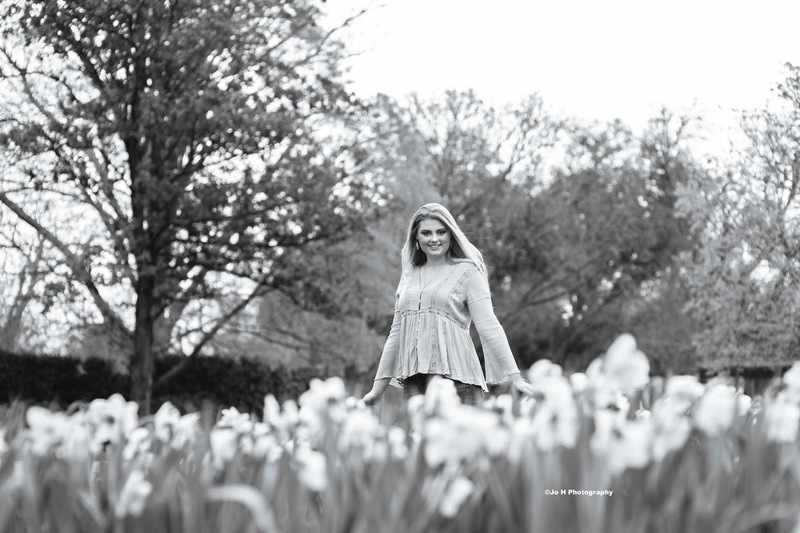 What makes this location perfect for a styled shoot is TWU has 2 locations for wedding and both always groomed and clean for people to take a walk in the park, students having a beautiful location to rest and relax and great for photographers. 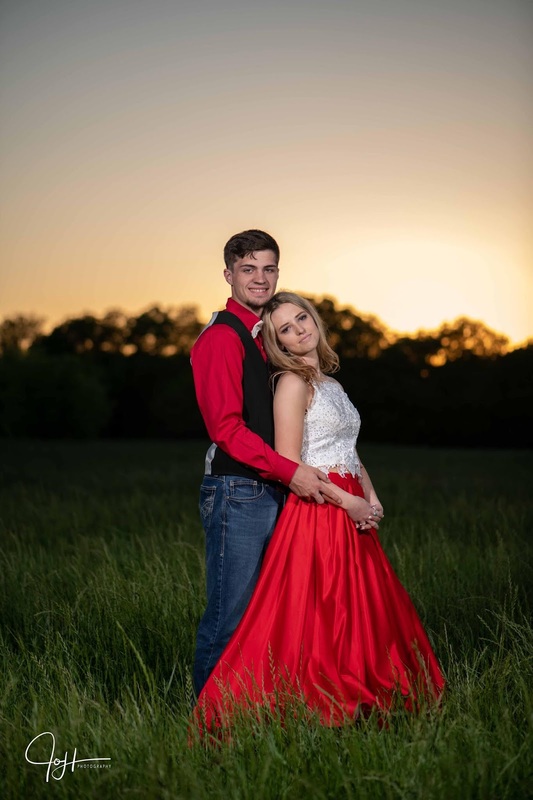 This Anny Lee Designer prom dress definitely stood out on this background near the chapel in Denton Texas.